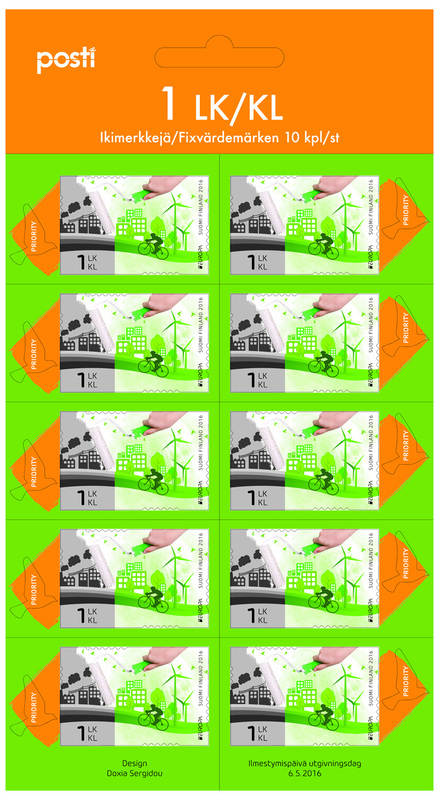 The theme of the 2015 EUROPA stamps is environmentalism in Europe - "Think Green". 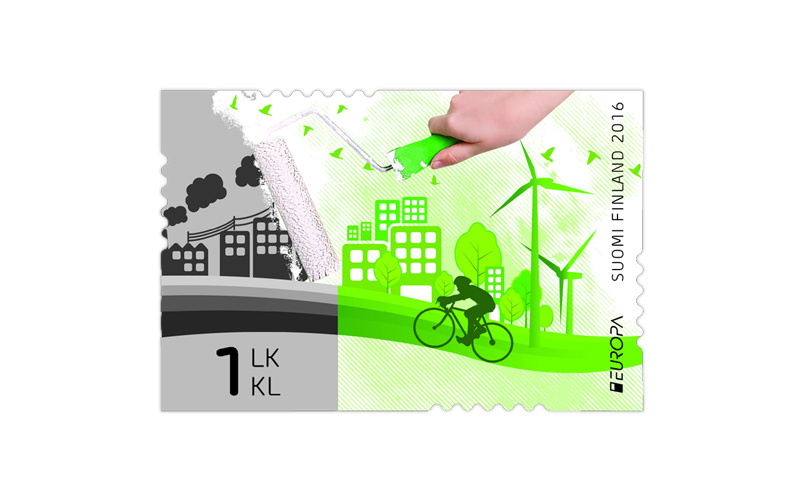 The bicycle image of Cypriot Doxia Sergidou, the winner of a design contest organized in 2015, is reflected in the EUROPA stamps of European postal services. 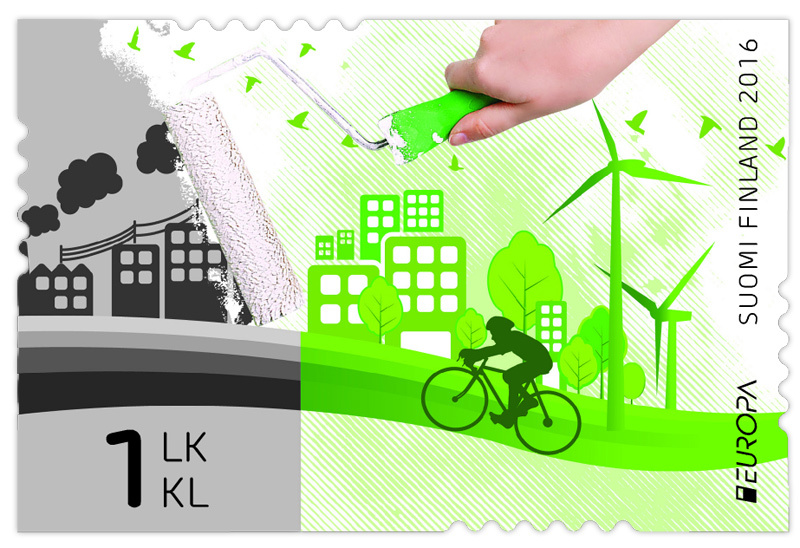 Stamp designer Timo Berry selected a bright green background for the Finnish 10-piece 1st class no-value indicator stamp sheet and created a Priority label with a bird motif.